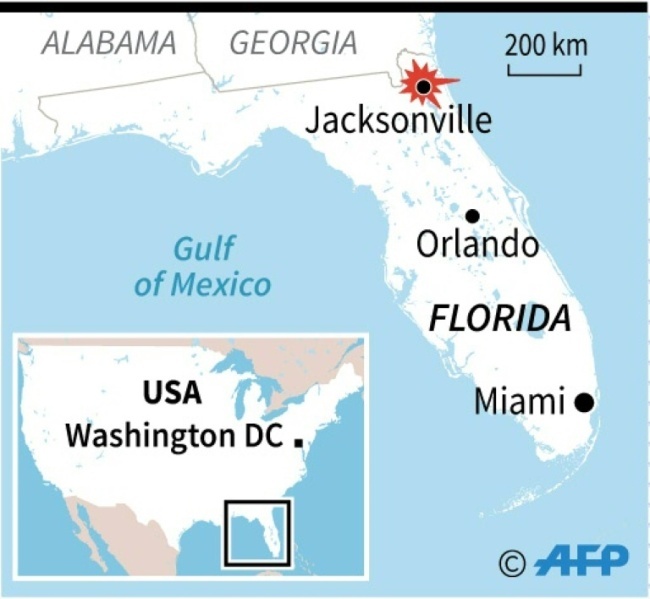 JACKSONVILLE, Fla. -- Two people were killed and 11 others wounded Sunday when a video game tournament competitor went on a shooting rampage before turning the gun on himself in the northern Florida city of Jacksonville, local police said. The tournament at The Landing entertainment and shopping complex -- a regional qualifier for finals in Las Vegas with a $25,000 prize -- took place at the GLHF Game Bar. 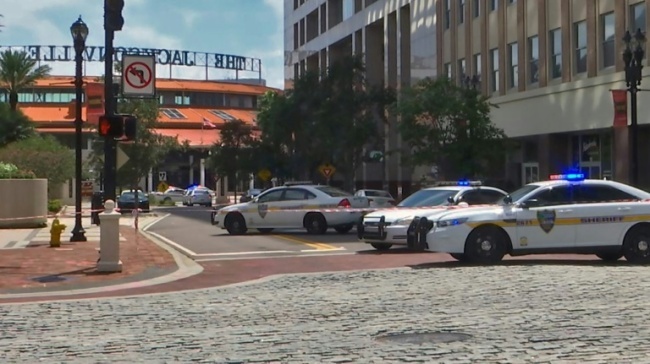 Earlier on Twitter, the Jacksonville Sheriff's Office had urged people hiding in locked areas of The Landing to stay in place and call 911 to make their location known. "This is a horrible situation, and our deepest sympathies go out to all involved," Madden's creator, EA Sports, said in a statement. "We're obviously shocked and saddened by this afternoon's events. Our player, Drini, was hit in the thumb but is going to be fine. He managed to escape and run down the street to a nearby gym," director Jason Lake told AFP. "I feel fine, just a scratch on my head. Traumatized and devastated," he tweeted. Survivors of February's high school shooting in Parkland, Florida, expressed sorrow at news of another mass shooting in the state. "Once again, my heart hurts and all of me is so angry. We cannot accept this as our reality," said Delaney Tarr, one of the organizers of the student-led March for Our Lives movement. Florida Senator Marco Rubio said that the FBI and the Bureau of Alcohol, Tobacco, Firearms and Explosives were investigating Sunday's shooting.